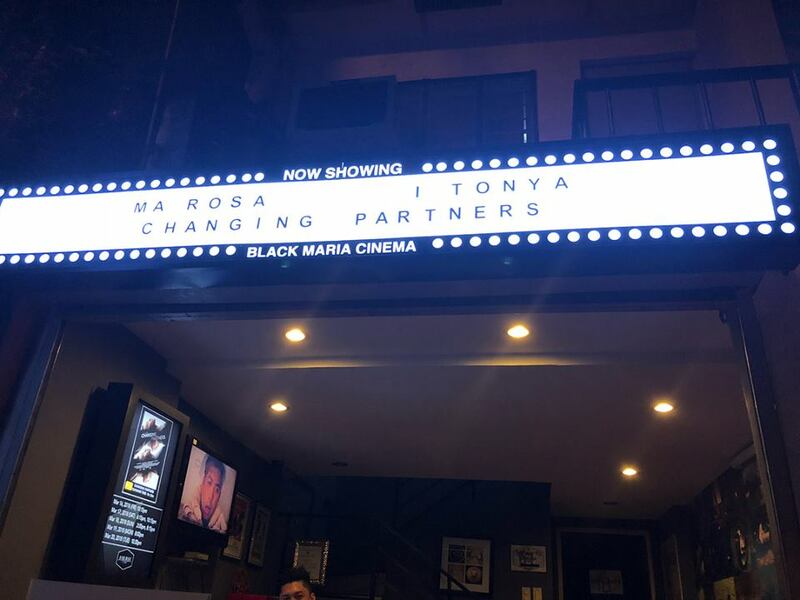 Black Maria Cinema is back! A new cinema experience waiting to be rediscovered! 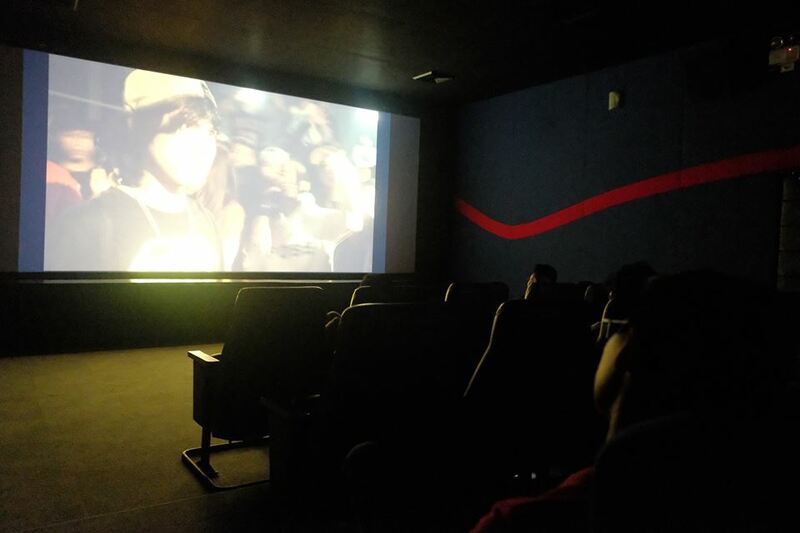 Tucked away in the hustle and bustle of the mega shopping complex sits a small but vibrant cinema experience catered to those who are more attuned to cinematic artistry than blockbuster popcorn fanfare. Black Maria Cinema‘s back and she’s ready for her closeup! 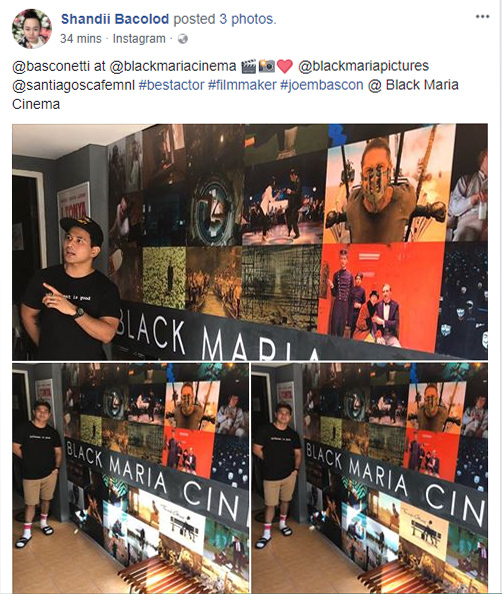 Stop by this weekend and you might bump into prominent cinema personalities like Joem Bascon (photo taken from Black Maria Cinema’s Chief Cinema Director, Shandii Bacolod’ social media page). And that’ just one of the perks of this quaint 30-seater cinema. Adjacent to the structure is a coffee shop called Santiago’s Café where patrons can pour in and revel in the store’s food and drink offerings while they discuss the award-winning shows they just saw. If you’re not doing much this weekend, and have yet to catch these critically acclaimed shows, you might want to swing by 779 San Rafael Street, Mandaluyong and grace this quaint, almost community-like cinema with your visit. Happy viewings! 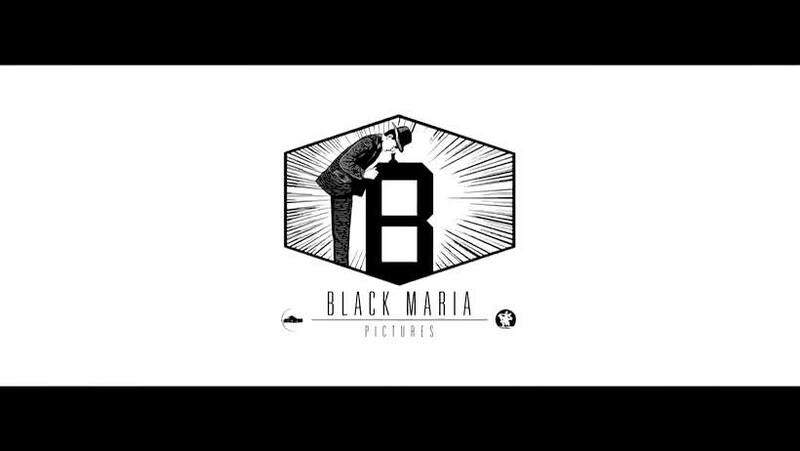 For listings and schedules, follow Black Maria Cinema at their Official Facebook Page. Previous articleICYMI – The new Avengers: Infinity War trailer is sure to melt some brains and OMG is that the Black Order? Next articleCheck out Sony Philippines’ Snaps X Sounds early summer sale!